Wolfe Makeup Essential Rainbow 45g - 1 LEFT! 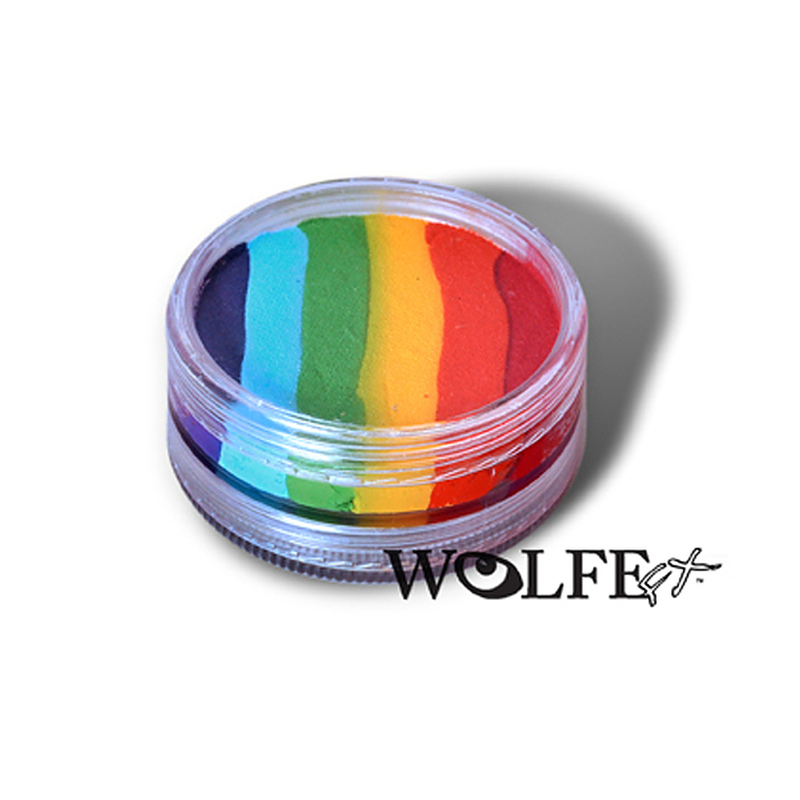 Wolfe Makeup Wolfe FX Makeup Wolfe Makeup Essential Rainbow 45g - 1 LEFT! Wolfe Face Art & FX is a make-up design company best known for its unique products and cutting-edge make-up application techniques. Wolfe has truly revolutionized the industry by combining traditional theatre make-up and fast-paced face painting into a totally new type of face and body art. The rainbow colours are a blend of 6 of colours in one 45g size to give you a rainbow effect.